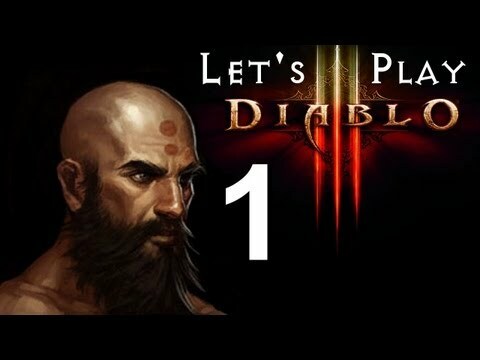 And we are back with the latest walkthrough of the popular diablo 3 beta. Since the d3 beta went live just a few days ago, the response has been intense. While you may have missed out on the beta, by watching these walkthroughs, its like you got your own personal beta key. Please watch these in full screen, on full HD 1080p mode and watch them from start to finish. It really is like you are in the diablo 3 beta. I know everybody wants a diablo 3 beta key, but this really almost as good!!! In today’s episode, we are going to play from beginning to the end with the monk class. This is a close combat fighter similar to the barbarian, however, with one imporant difference. While the barbarian has to maintain fury to use his special attacks, the monk’s pool of spirit is more comparable to a wizard’s mana. You can keep spamming your attacks until you run out of spirit. However like the barbarian the diablo 3 monk class gets spirit generators to help keep the spirit pool maxed out. The monk is a faster type of attacker than the barbarian. While the barbarian has massive dammage slow attacks, the monk has more lighter dammage attacks, but can spam then much faster. He starts out with Fists of Thunder and Blinding Flash. Like the barbarian, he has generators and spenders. The Fists of thunder will damage an opponent while at the same time generating spirit. And the Blinding Flash is a crowd control ability that consumes spirit and blinds opponents in a 20 yard range for 5 seconds. While blinded they will not attack back until they are attacked first. This is a pretty strong ability, since it will allow the monk to go into a really crowded room, cast blinding flash, and then take them out one at a time. Strategies for the monk are varied among the players, as you can play through the beta with nothing but your starting skills and walk through to the end of the final boss fight with the skeleton king. So really, there is not much in the way of what is better than something else. 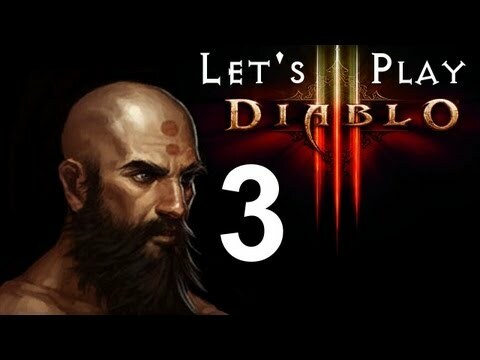 However, as seen in this video, in the fight with the skeleton king at the end of the diablo 3 beta, I used deadly reach, and lashing tail kick. The boss really did not have a chance. Keep checking back for more diablo 3 beta videos, news about diablo 3 cheats, diablo 3 guides, and so much more!! !